The new national historian of the Civil Air Patrol (CAP) has been selected, sources say. He is Lt Col Charlie Wiest, of California. the sources say Wiest does not like the history officers. He will have the authority to name the national curator, which means Lt Col Jim Shaw will be out. And apparently, Lt Col Todd Engelman is already out. An announcement will be made shortly, the sources said. Sources also told us today that the CAP Historical Foundation will be closed down. This reportedly was approved last week on a conference call with the Board of Governors (BoG) and evidently it was a done deal before their call with Maj Gen Chuck Carr, the CAP’s national commander, with the CAP’s national executive director, Don Rowland, and one other member forcing the closure. The question is what they will do with the website, the thousands of copies of Maine to Mexico and all of the items that the CAP History Foundation stored in a separate and secure facility, the sources told us. The CAP History Foundation, of course, is the entity that the CAP has claimed was not part of the CAP, and that the CAP had no authority over it – statements they’ve made continuously since NOTF first broke the story about an CAP inspector general’s investigation into the foundation and the theft of CAP artifacts. An email message sent by us this morning to Gen Carr this morning seeking comment has elicited no reply by press time, however, the following has been posted on CAP’s website: “Civil Air Patrol’s Historical Foundation, established in 1997 to preserve CAP’s history and promote its heritage, is transferring its assets and fundraising work to a similar CAP program. The decision to move the program under CAP’s History Program was approved by the organization’s board of directors on Oct 3. “Over time, the foundation’s activities and the duties of CAP’s national curator and national historian, as well as the organization’s fundraising efforts, became redundant, making the move to dissolve the foundation a given,” said CAP National Commander Maj Gen Chuck Carr, adding that the move eliminates duplication in both areas. The Historical Foundation’s activities included raising money for the preservation and display of CAP’s history, developing products and programs for member and public education nationwide, assisting with the restoration and exhibition of CAP aircraft and archiving and displaying historic artifacts, publications, photos and memorabilia. 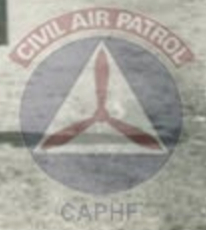 Be the first to comment on "Civil Air Patrol Historical Foundation Shut Down"